Soon version 62 of Chrome will show a warning message if you don't have a certificate. This is another big group of our users. I'm not a developer and I don't manage servers. I'm not even sure what questions to ask a developer or where to turn. We just want HTTPS in the browser bar for all our users! You may install the SSL certificates to your website and also upgrade your site features. You may show a message in the bottom of your website mentioning that your website view best in latest version of OS or browsers. However browser will automatically notify the users who are using old and outdated browsers or OS. Buy ssl certificate from your domain registrar and ask them directly to install the ssl certificate. You can redirect your site from http to https after the ssl installation. Check your website for mixed content, this mean you need to change all your link from http to https. Example you have copyright link in the footer like "http://yoursite.com" change it to "https://yoursite.com"
Yes, install a SSL certificate. If your visitors do not care about their own security, that's not your problem, but for 79% other, make sure their connections are encrypted. Windows XP isn't supported anymore by Microsoft, the last massive attacks with Wannacry proof it's not safe anymore to use it on internet. Thanks. Yes, I wish our clients IT departments would upgrade them. I am very surprised how many corporate users still use XP. The problem is we can't "shut our doors" or in this case our website on them, we would be out of business. In this case, create 2 sites. One for XP users and another for everyone else. Use a script to detect the OS and browser they are using and redirect them to the XP site as needed. Or visa versa. Thanks Rob. That is a great idea, I was hoping something like that would be possible. I was looking at your avatar and I had to look twice, I thought you were standing above a bear, but it is actually a rock! Your responsibility is to keep your site up to date rather focusing your outdated clients. Definitely, they are pretty much important but you can't ignore 79% users. And Rob has given an outstanding idea. Good luck. This used to be a reason why some companies were paying for Verisign even when Verisign was way more expensive. Verisign used to offer lower encryption for legacy browsers overseas as well as standard and at the same time it would cover all their E-commerce needs. I am not so much up to date, but check with different SSL vendors. They would be able to direct you better on choosing the right SSL solution for your business. 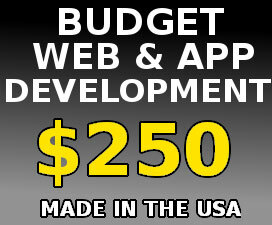 You may loose more money trying to save a few bucks than going for the expensive enterprise version. How do you increase conversion rates on affiliate links? Does the number of followers on social media affect your business? Would you share your social media account? Which is better for gaming? Android phone or IOS? 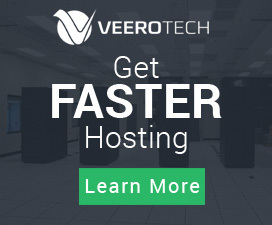 What are warning signs of a Bad Hosting Provider? Where do the SSL certificates come from? Low-Priced SSL Certificates & INSANE EV-SSL OFFER!